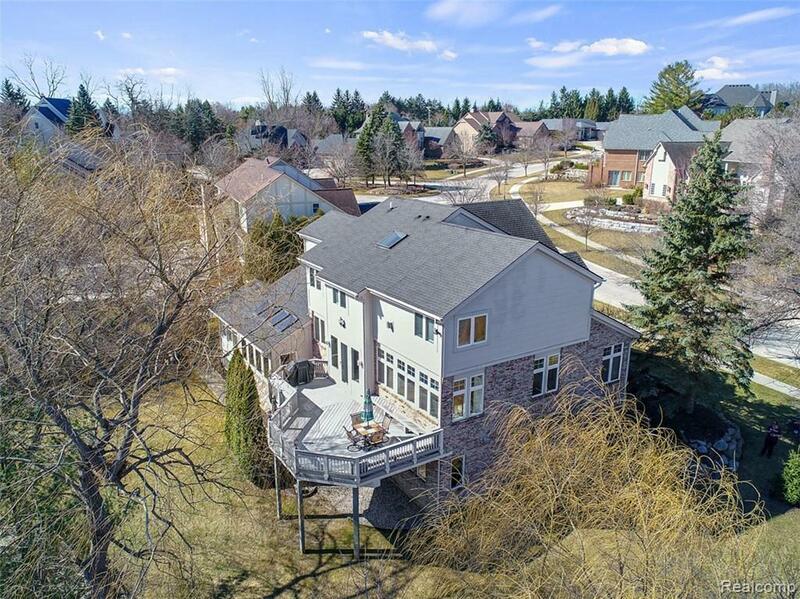 This Compo built, custom home in desirable, Northville Gas Light District, is built like a fortress on the prettiest lot in Pheasant Hills! 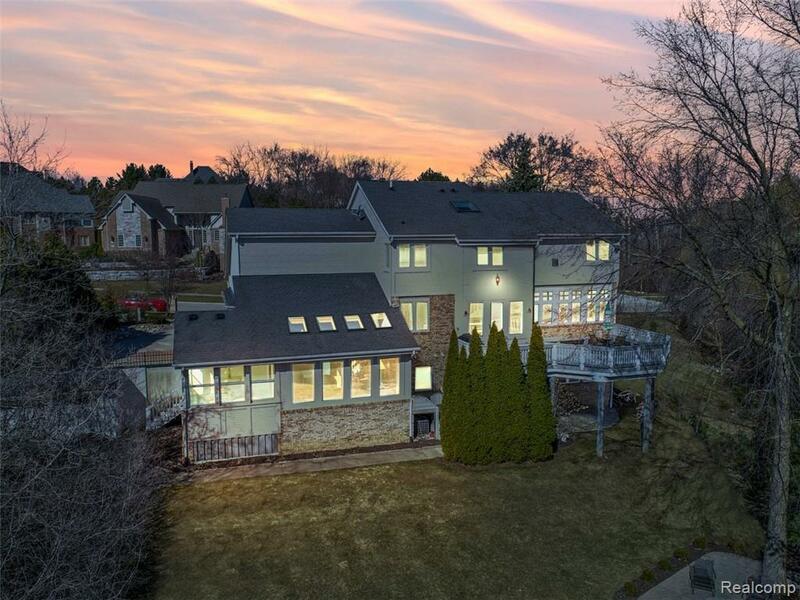 A former model, it's designed to showcase many special features--elegant custom trim, moldings, dramatic ceiling details, decorative leaded glass windows, & quality details t/o. A GORGEOUS, dramatic, multi-layered, coffered ceiling in the great rm is stunning w/enhanced lighting & adds class, elegance, style & sophistication to an already grand room. The granite fireplace is a balancing focal point & the wall of casement windows add light, airiness & opens up a beautiful vista of the yard. A very open floor plan flows t/o main flr. 4 bdrms & 2.5 bths up boast dramatic vaulted ceilings. The unique ceiling detail & ethereal designer paint & lighting in main bth is heavenly. The master is grand w/2 huge WIC, leaded glass accents & a balcony. 1200 sq'+ finished W/O bsmnt w/ wet bar, steam shower spa bth, & all cement storm/storage rm. Sun & pool rooms. 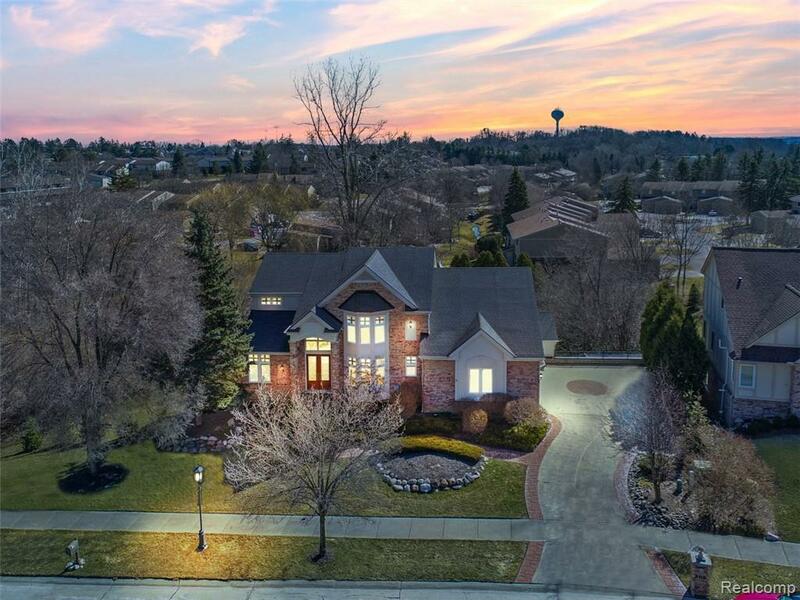 Listing courtesy of Exp Realty-Northville.